There are many psychological studies that support the theory that living near or overlooking the sea has lots of benefits for the health of our body and brain. This effect has been reflected into art, architecture and even into interior design as the majority of the people undergoes a pleasant feeling when being close to the sea and that is why they seek for this sensation on their daily life. Perhaps the reason lies on our brain. According to several Muy Interesante (https://www.muyinteresante.es/curiosidades/preguntas-respuestas/de-verdad-relaja-el-mar-731491922141) and Cultura Inquieta articles (https://culturainquieta.com/es/inspiring/item/10491-4-maravillas-que-hace-el-mar-con-nuestro-cerebro.html), “este efecto que ejerce el mar sobre nosotros se debe esencialmente a que proporciona a nuestro cerebro una pausa a la sobreestimulación a la que nos exponemos continuamente en nuestra vida diaria” (“this impact of the sea on us is due to the pause that gives us to the over-stimulation we suffer on our daily life”). We live a life with an over-stimulation of external stimuli that affect us in a very negative way, causing a tension and uneasiness feeling that stops our minds from resting. However, watching the sea, its colour and listening to the sound of the waves make a very positive and calming impact on us. There are many reasons for that and one of them is the colour range of the sea. According to Muy Interesante, apparently “el color azul ejerce un efecto tranquilizador y genera una estabilización de la presión arterial y del ritmo respiratorio” (“the colour blue has a soothing effect and stabilizes our blood pressure and breathing rhythm”), just as the british psychologist Nicholas Humphrey proved during his experiment. He argued that babies calm down easily under a blue light, so it is an innate feeling. On the other hand, the sound of the waves has the same timing as our breathing, which contributes to the relaxation and the stabilization of our vital signs. It triggers a meditative state and that is why this sound is used during yoga and relaxation sessions. It is proved that, just as Jennifer Delgado explains on ‘Cuatro maravillas que hace el mar con nuestro cerebro’, the sound makes changes on our brain waves, creating alpha waves, that appear in quiet and concentration moments. The production of this kind of waves is also related to the creativity: “al estar cerca del mar se activa la red neural por defecto, que se relaciona con la aparición de las ideas más creativas y originales” (“when being close to the sea the neural network is active and that is related with the appearance of the most creative and original ideas”). Thus, the prefrontal cortex of our brain breaks free and lets inventiveness flow. Another reason for the benefits of the sea is that “observar la inmensidad del mar provoca en nosotros una experiencia ‘expansiva’ que cambia nuestro esquema mental” (“watching the vastness of the sea has an ‘expansive’ experience that changes our minds”) and this can affect to our decisions and our humour. Undergoing that astonishment and admiration feeling can shift our way of thinking. Being close to the sea has uncontainable benefits. 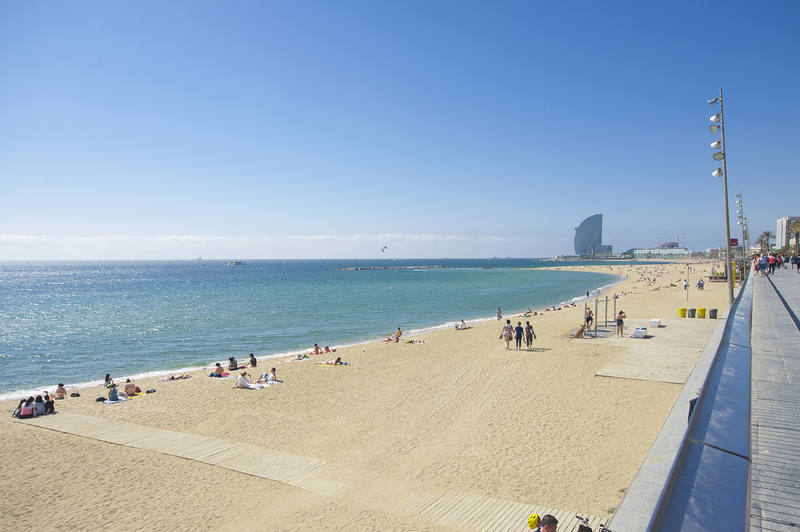 Barcelona is a city that has been back to the sea all these last years. 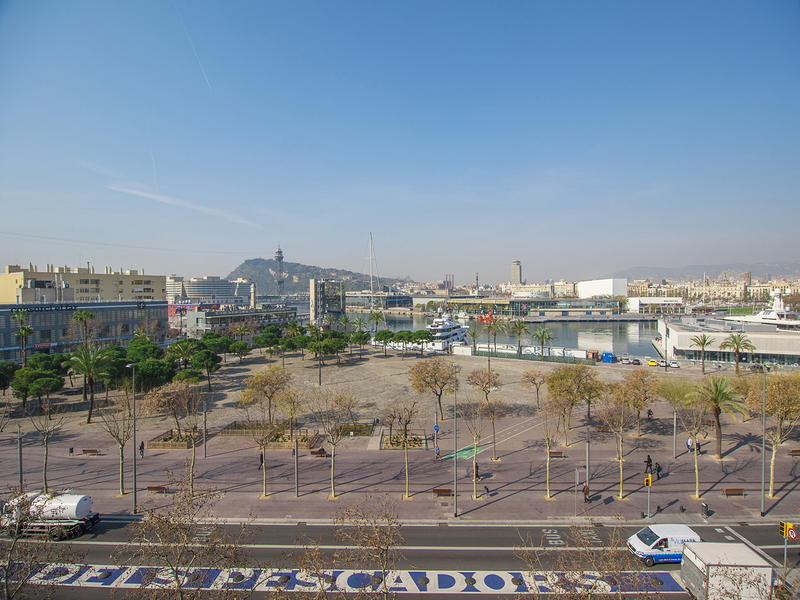 Luckily, after the Olympic Games, the Port Olímpic district was born and the development to a Barcelona facing the sea was started. Due to the soft hills that lead to Tibidabo and the privilege views from some buildings, there are lots of places overlooking the sea. Atipika counts with several properties that offer the possibility to enjoy this fantastic feeling. On our catalogue we count with a wide variety of properties not only overlooking the sea, but on the seafront. This outstanding duplex facing east, located on a twelfth floor offers breath-taking views to the sea and has a large terrace and high-quality materials. Moreover, it counts with two parking spaces included and it is a great opportunity to invest. You will find it on our website clicking the link (https://atipika.com/en/property/modern-style-duplex-very-close-to-mar-bella-beach/) or introducing the reference number 12604 on the browser of our website. 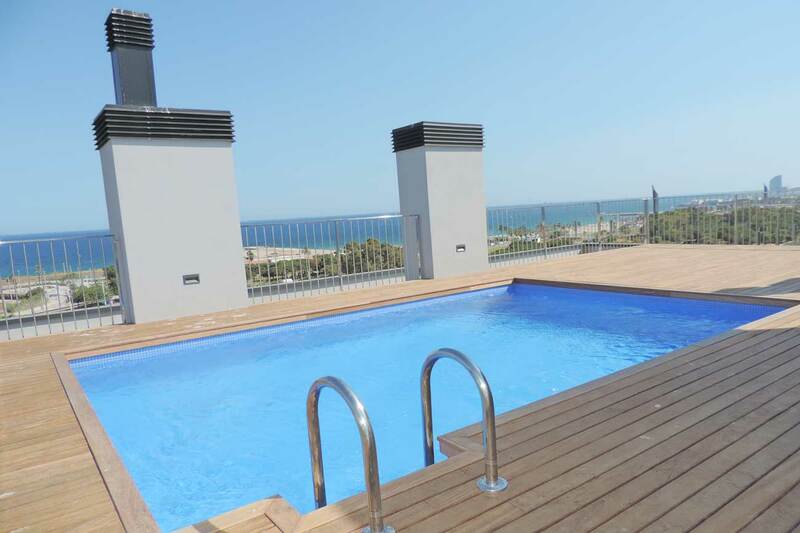 Another property we recommend is this excellent flat with swimming pool and communal area close to Mar Bella beach (https://atipika.com/en/property/spectacular-flat-with-swimming-pool-and-community-area-next-to-playa-de-la-mar-bella/). It has an unbeatable location and it is one of the most exclusive and with most constructive quality of the area. It is very well decorated, it counts with a large communal area with swimming pool, gym and all kind of services and leisure. We are talking about a strategic location as it is in front of the sea and far from the urban noise. This fantastic brand-new apartment for rent is another of the proposals we offer in Atipika. 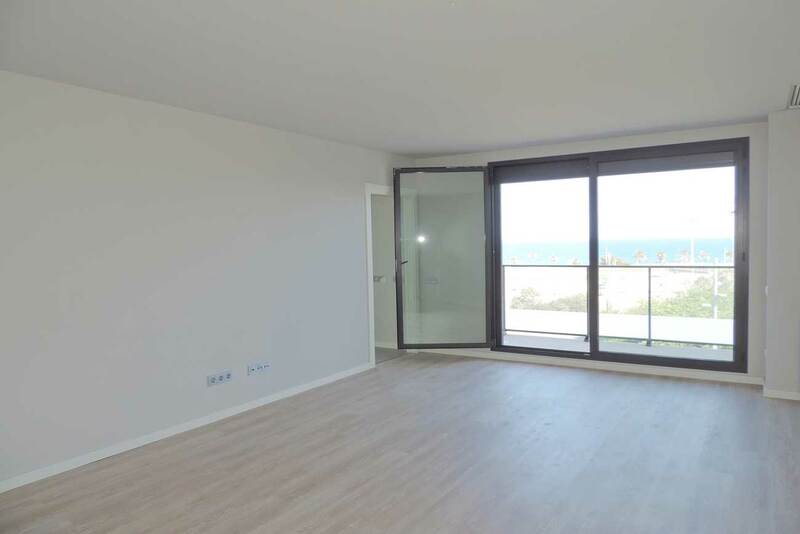 It is located on a high floor that offers panoramic views of the sea and it has a large private terrace and amazing communal area with swimming pool (https://atipika.com/en/property/wonderful-new-flat-with-community-swimming-pool-and-parking-next-to-marbella-beach/). 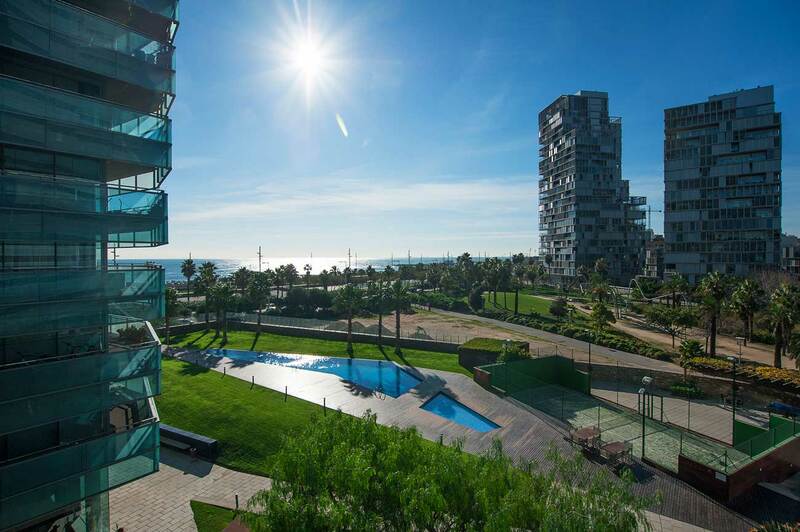 It is an outstanding property with a perfect location on the area of Diagonal Mar. Find it out on our website with the reference number 10249. Atipika has an extensive experience managing both straightforward and complex real estate rental transactions. Atipika’s successful path in the real estate market over nearly 20 years makes it possible to offer a broad and attractive range of properties for sale and for rent in Barcelona, with a concise up-to-date information. Do not hesitate to browse our website to find out other properties: www.atipika.com. You can contact us through our live chat, send an e-mail to info@atipika.com or call 93-4575032.